Roka Bioscience Inc (NASDAQ: ROKA) shares jumped 54.63 percent to close at $1.67 on Wednesday. EXCO Resources Inc (NYSE: XCO) shares gained 39.02 percent to close at $1.71. Bon-Ton Stores Inc (NASDAQ: BONT) shares surged 37.26 percent to close at $0.838. Bon-Ton reported amendment to its $880 million ABL Tranche A and Tranche A-1 credit facility. TOP SHIPS Inc (NASDAQ: TOPS) shares rose 31.96 percent to close at $0.495 on Wednesday. Amedica Corporation (NASDAQ: AMDA) shares gained 26.32 percent to close at $0.480 on Wednesday. DryShips Inc. (NASDAQ: DRYS) shares climbed 23.15 percent to close at $5.00. MacroGenics Inc (NASDAQ: MGNX) shares rose 17.36 percent to close at $19.00. Incyte and MacroGenics disclosed a collaboration and licensing agreement for anti-PD-1 monoclonal antibody MGA012. Dynegy Inc. (NYSE: DYN) shares gained 17.11 percent to close at $10.78 on Wednesday. Vistra Energy is nearing a deal to buy Dynegy, the Wall Street Journal reported. Neothetics Inc (NASDAQ: NEOT) shares rose 16.22 percent to close at $1.29. Diana Containerships Inc (NASDAQ: DCIX) shares jumped 15 percent to close at $0.460. Line Corp (ADR) (NYSE: LN) shares rose 12.67 percent to close at $41.45 as the company disclosed summary of consolidated financial results for the nine months ended September 30, 2017. Quotient Ltd (NASDAQ: QTNT) shares climbed 11.85 percent to close at $5.19 after the company reported 'positive' concordance data from the MosaiQ verification and validation studies for blood grouping. The company also reported a $40 million private placement at $4.64 per share and the issue of warrants worth up to $49 million. USANA Health Sciences, Inc. (NYSE: USNA) shares rose 10.9 percent to close at $68.70 after the company posted strong quarterly earnings. Cellect Biotechnology Ltd. (NASDAQ: APOP) gained 10.8 percent to close at $8.82 after the company reported a major breakthrough of its ApoGraft technology. The company disclosed positive results from a 20 patients trial with Tel-Aviv Ichilov Medical Center. OncoSec Medical Inc (NASDAQ: ONCS) shares gained 9.52 percent to close at $1.15 on Wednesday. Capricor Therapeutics Inc (NASDAQ: CAPR) rose 9.09 percent to close at $2.40 after the company reported that 12-month results from HOPE-1 trial in Duchenne muscular dystrophy will be presented at the American Heart Association late-breaking session. Nortech Systems Incorporated (NASDAQ: NSYS) shares gained 6.28 percent to close at $4.23 following collaboration with Panasonic for expansion of manufacturing capabilities. Rennova Health, Inc. (NASDAQ: RNVA) shares dipped 32.07 percent to close at $0.400 on Wednesday. Atossa Genetics Inc (NASDAQ: ATOS) shares declined 30.51 percent to close at $0.848 after the company disclosed preliminary results from Phase 1 study of oral Endoxifen. Acadia Healthcare Company Inc (NASDAQ: ACHC) shares fell 25.93 percent to close at $32.68 after the company reported downbeat earnings for its third quarter and issued a weak FY17 forecast. 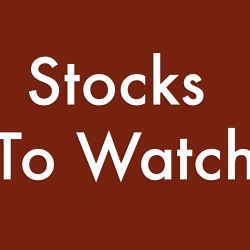 Aytu Bioscience Inc (NASDAQ: AYTU) shares dropped 24.77 percent to close at $3.47. Trivago NV - ADR (NASDAQ: TRVG) shares dropped 22.49 percent to close at $8.34 after the company reported quarterly results. Zagg Inc (NASDAQ: ZAGG) shares declined 16.91 percent to close at $14.50 on Wednesday. Zagg is expected to report Q3 results on November 1. Innoviva Inc (NASDAQ: INVA) shares dropped 15.55 percent to close at $ 11.73. Innoviva reported Q3 earnings of $23.8 million on revenue of $48.64 million after the closing bell. Chipotle Mexican Grill, Inc. (NYSE: CMG) fell 14.62 percent to close at $277.01 after the company reported weaker-than-expected results for its third quarter on Tuesday. iRobot Corporation (NASDAQ: IRBT) declined 13.49 percent to close at $65.11 after the company posted upbeat Q3 results and raised its FY17 outlook. Advanced Micro Devices, Inc. (NASDAQ: AMD) shares dipped 13.47 percent to close at $12.33. AMD reported better-than-expected results for its third quarter. Still, investors reacted negatively, seemingly due to the fourth-quarter guidance provided by the company, which expects sales down 12-18 percent quarter over quarter. Alaska Air Group, Inc. (NYSE: ALK) fell 13.21 percent to close at $68.92 on weak quarterly earnings. Eldorado Gold Corp (USA) (NYSE: EGO) shares declined 12.75 percent to close at $1.30. Anixter International Inc. (NYSE: AXE) shares dropped 12.34 percen to close at 66.05. Anixter International posted weaker-than-expected quarterly results on Tuesday. Savara Inc (NASDAQ: SVRA) slipped 10.31 percent to close at $8.26 on Wednesday after announcing a proposed public offering of common stock. Edwards Lifesciences Corp (NYSE: EW) shares declined 9.54 percent to close at $103.33 after reporting weak Q3 sales. Graham Corporation (NYSE: GHM) dropped 8.97 percent to close at $19.90 after the company lowered its FY 2018 guidance. Manhattan Associates, Inc. (NASDAQ: MANH) dropped 8.04 percent to close at $44.93. Manhattan Associates reported Q3 earnings of $0.51 per share on revenue of $152.88 million. Juniper Networks, Inc. (NYSE: JNPR) dropped 6.15 percent to close at $24.56 after posting earnings that fell in line with analyst estimates. The company forecasts fourth-quarter earnings well short of expectations. Rent-A-Center Inc (NASDAQ: RCII) shares fell 5.78 percent to close at $9.94. Raymond James downgraded Rent-A-Center from Strong Buy to Market Perform.